June 7 is another anniversary day for the clergy of St. Alban's. The Rev'd Dr. Bette Jo Kauffman, Deacon celebrates her 4-year anniversary as Deacon and Fr. Whit celebrates his 15th anniversary as a priest. 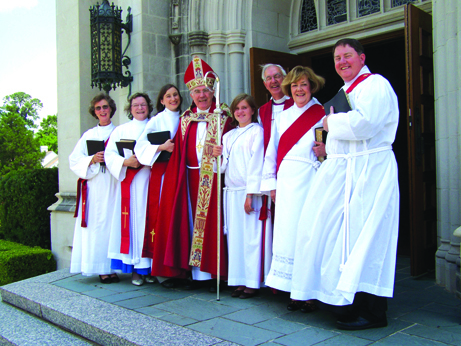 The photo above is from Deacon Bette's ordination day. She is second from the left. The photo below is of Father Whit on his ordination day - he is the bald one.